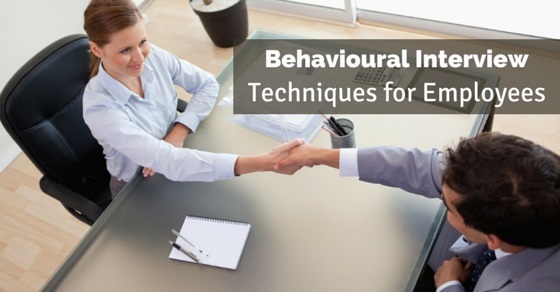 The main purpose of behavioural interviews is to evaluate you as a person and assess how you react to situations or deal with difficult people. To understand these different facts and to unravel the true you, they have rounds of behavioural interviews during recruitment process. If you want to get hired, you need to impress your interviewers during these rounds. Knowledge of the different questions that may be asked during such interview rounds will help you prepare better and be more confident. Here we have prepared a list of the most probable behavioural questions in interviews and the best way to answer these questions. If you answer the questions in the right format, it is bound to impress the interviewers. Refer this list to understand the right format. Tell Me An Instance when you Overcame a Crisis and Explain How You Did it? The interviewers commonly ask this question to experienced candidates who apply for higher positions. These interviewers actually wish to gauge your ability to deal with different crisis situations. They also wish to understand what exactly does crisis mean to you. These facts decide whether you are fit for higher positions in organisations. Here is an example of how you may deal with such questions methodically. When I was working as a team lead in my previous organisation last year in October, we had an urgent project that had to be completed within a short deadline. I had a team of 11 of whom 6 members had their leaves scheduled in the week. The task required at least 8 developers and we were short of 3 members to complete the task. I was responsible for the task at hand and I would be held responsible for any delays in the delivery of the project. Convincing the 6 employees who had taken leave after nearly 5 months wasn’t easy. I realised that the task could never be completed with three people short. So I checked the list of teammates and the reasons for their leaves. I realised that two of my teammates were on vacation and were out of station. Getting them back would not be feasible. I contacted the remaining 4 and tried convincing them for working on those days. With great difficulty I managed to convince two of them. Yet, we needed one more person so I took up the task that was to be assigned to this last teammate. Finally, we managed to complete the task one day before the scheduled date. I was appreciated by my bosses for my ability to get work done even during crisis situations like these. Do you recall a situation when your boss was wrong and you had to correct him? How did you deal with such a tricky situation? The recruiters do not enjoy hiring candidates who cannot be diplomatic with their approaches. They look for candidates who know to tackle different types of people. This ability of theirs is best revealed in the way they tackle their bosses or their juniors. In organisations and firms, there are often situations where the bosses could be wrong. The employees need to have the wisdom to explain the right way to the bosses without making the feel dejected or overruled. If this question is posed to you, make sure you explain the details of your approach. It will help you bag the job easily. We had to get content done for a website and our boss was planning to hire an agency to get the bulk requirement done. I have handled a few similar tasks in previous companies and have realised that it is always cheaper to get the work done from individual freelancers rather than hiring an agency for the same. I even had a few freelancers who would get the work done in half the rate as compared to that quoted by the agency. I decided that I should not let the company make such a loss by letting the project to unknown agencies. Since I had to confront my boss next day, I decided to create a proper presentation with all the information properly stated. I made a list of the freelancers I know or have worked with before. I listed out the quality of content and the genre they provide. I also made a note of the rates they charge and the expense they would cause to the company. Next day, once I was sure I had all the facts ready with me, I entered the boss’ cabin and decided to have a word with him. I showed him my research. I also showed him statistically how much the firm would profit if they hired individuals instead of a firm. I also clearly listed out the merits and drawbacks of each option. During our meeting, my boss did not give any positive or negative response. He went through all my research and next day he told me to arrange his meeting with a few of the freelancers. I was appreciated for my extra initiative with a promotion in the next term. The above two examples clearly explain how the ‘STAR’ format of explaining situation, task, action and result would help you grab all the attention of the interviewers. Often, you can convince an interviewer only through proper communication skills. If you lack communication skills, you may not excel in your profession. Here we have listed out a few of the other questions that you may expect during behavioural interviews. Make a note of the most frequently asked questions and prepare for these to fair better in interviews and increase your job opportunities. Have you lead your team to achieve some goal? Explain how it happened. Have you ever dealt with a customer or client who has been unhappy with your firm’s service? How do you tackle such a situation? Is there any major change you had to bring in your personality after you joined your job? Explain what that change is? Are you proud of the position you hold in your present organisation? Why? Have you ever done something beyond your actual work profile to get the task at hand completed? Explain what it was? Have you ever had conflicts in your workplace? How have you handled these conflicts? What is the biggest contribution you have made to your previous organisation? Do you think you are a good leader? What makes you a good leader? Many people misunderstand communication skills to be just the language skills. This is not actually true. Communication skills implies language proficiency as well as your body language. You need to have good English speaking skills. Make sure you have a strong hold on grammar. You also need to refine your vocabulary when you apply for higher positions in organizations. Apart from this, you need to have a check on your body language. Bad body language can have a lasting bad impression that you can never correct. Poor dressing sense is another thing that puts the interviewer down. You need to make sure that you go well dressed when you head for an interview. Pick formal outfits and matching formal accessories. You need to make sure you have nice watch, a good pen and well polished formal shoes. Apart from all these trivial factors, there is yet another major factor that you need to keep in mind while heading for higher position interviews. This is basic hygiene. You need to make sure you take all the measures to stay hygienic. Use deodorants or perfumes to get rid of body odour. You may use mouth freshener to deal with foul breath. You must also make it a point to carry tissues or napkins when you head for an interview. Hand sanitisers help you keep your hands fresh. If you are travelling to the interview location, it is a great idea to carry an extra pair of clothes with you. You can freshen up and change once you reach the interview location. This will make you look fresh,prepared and ready for the interview. If you wish to get hired to higher positions in firms and organisations, you need to be confident and knowledgeable. The guidelines provided only help you further furnish the skills you already possess. Behavioural interviews only try to get a glimpse of the real you and there is nothing to worry if the real you are smart and impressive. Previous articleHow to Pass the Phone Interview Successfully?